Cruise control with a life of its own isn't good. 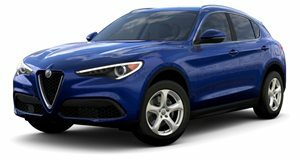 Over 60,000 examples of the Alfa Romeo Giulia sedan and Stelvio SUV have been recalled globally due to an issue involving the adaptive cruise control system. In short, the system can continue going on cruise control or even accelerate after the driver touches the brake. Translation: the system may not shut itself off when commanded to do so by the driver. Sounds scary, we know. It’s also possible for the affected vehicles to accelerate above the set cruise control speed. If the system does not initially respond to a slight tap of the brake pedal, then a prolonged press of the pedal will do the trick and disengage the system. 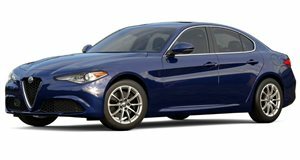 The recalls affect certain Giulia and Stelvio models built from 2017 through 2019, though FCA will also issue specific VINs. According to the automaker, the source of the problem is a software error, which makes sense because the adaptive cruise control system is fully run by computers. A simple brake system software fix will correct the issue, so it’s not really as serious as one might make it out to initially be. But still, an adaptive cruise control system that could potentially go a bit haywire is not very reassuring. In the meantime, Alfa Romeo strongly advises owners not to use the system until it’s been repaired which will, of course, be done free of charge. Fortunately, there have no reported incidents, crashes, or injuries but no chances are being taken. FCA, Alfa Romeo’s parent company, discovered the system’s flaw, according to CNET, after an employee realized something was wrong during a recent test drive and reported it. Further investigations revealed there was indeed an issue and the recall was announced. Affected owners will be notified sometime next month with recall instructions.